My last couple of posts have looked at the challenges of viewpoint. But point of view is also a great tool, and one that can be fun. You can let your readers know more about your character, and how he or she sees the world. This is especially helpful if you’re writing about an unusual time or place, as in historical fiction, fantasy or science fiction. Regardless of genre, viewpoint can help your readers get to know your main character. This passage shows the narrator’s envy of her sister’s beauty, and therefore her feelings about her own looks. It also gives the reader insight into Mayan standards of beauty, so different from our own. Here’s a place where it’s okay to “tell” the reader that a character is beautiful, rather than simply “showing” it through the description. Description alone might make readers think that Feather was unattractive, so we need Eveningstar’s opinion for balance. J.C. heard a shout. He turned to see one of the landowner’s sons, Lawrence Cannon. “What are you looking at?” Lawrence said. “Nothing,” J.C. said. “I was just looking.” He smiled. His father had told him, always smile when you talk to white people. Be careful what you say. Soon the river widened and water swirled slowly in a deep pool along one side. Surely a few fish would be hanging out there, where the swimming was easy but the water moved fast enough to bring in lots of fresh food. Jesse dropped to his hands and knees and crawled forward, keeping out of sight of the river. Trout were smart; if they saw your shadow or your silhouette they wouldn’t bite. He sat on a sunny boulder, ran the fishing line from the reel out through the ring at the end, and tied on a hook. He started to tie on a fake fly, then stopped. It was illegal to use live bait for trout fishing, because it made catching them too easy. But Jesse wasn’t fishing for sport; he was fishing for dinner. And suddenly he didn’t want to spend all day at it. He was always the good kid, the one people hardly noticed. What did he ever get for it? I hope we learn a lot about Jesse from this passage. We see that he’s comfortable in the outdoors, and a good fisherman, even though I don’t say so outright. We also learn something about his personality, and a change he might be starting to go through. Whatever point of view you use, try to show your readers how your main character sees the world. The following exercises can help you explore characterization through point of view. Feel free to post your results in the comments! • Describe a character from the POV of his or her best friend. Now from the POV of an ex. • Describe someone sitting in a field, lonely and sad. Then describe someone sitting in a field, enjoying the day. • Write about a time when your health altered your senses, such as a bout of vertigo, or a cold that interfered with your senses of smell and taste. • Describe a heavy rain from the point of view of two or more of the following: a farmer during a drought; a child who wants it to snow; a thirsty flower; a pet dog who is outside and wants to get in; a weather reporter; someone driving home on dark roads. I discussed the perceived battle between Amazon and the publishing industry last week. (Scroll down or use this direct link: Publishers Versus Amazon: An Escalating War.) For more commentary, check out this post by Joe Konrath, where he ruthlessly attacks the anti-Amazon arguments of Authors Guild President Scott Turow. Here's the link to the original interview with Turow in Salon.com, explaining why we should fear Amazon. Last week I talked about some of the ways the publishing industry is fighting Amazon. I also acknowledged another Amazon-related challenge for publishers – the way midlist authors are turning to self-publishing. They often start with their out-of-print books and then do well enough that they consider self-publishing their new work. The numbers may not be huge yet, but they are growing, and if the publishing business doesn’t change, publishers will lose their midlist – books that don’t make a fortune but sell enough to pay their expenses and help keep everybody in business. I don’t know if publishers are talking about this yet. The public comments I’ve heard have typically been rooted in denial. Publishers and their employees want to see themselves as relevant, so they stand by the idea that traditional publishing is proof of quality, and any serious author should want the “validation” of a traditional deal. And many authors still do. As writers, we learn about publishing companies so the names mean something to us, but I’m quite sure that if I told a non-writing friend that I had a book published by Clarion or Aladdin, it would mean nothing to them. Ironically, I’ve had people assume that my traditionally-published books were self-published, before I ever started exploring self-publishing. Most people still don’t understand the difference. What’s the advantage of the “validation” of a traditional publishing deal, if it means nothing to most readers? Plus, publishers seldom do much to market books from debut or mid-list authors. But there’s a way publishers can make their names mean something, and support their authors better at the same time. These days, you’re probably hearing a lot about “brand building” for authors, the idea that you should stand for something specific. Yet many publishers haven’t embraced the concept themselves. If you know that a certain publisher always produces well-edited and well-designed books with a specific, narrow focus that matches your interests, you’ll trust them and look for their books. You might even buy directly through their website, which means higher profits for the publisher. Small publishers can keep a narrow focus more easily (such as a regional focus), but bigger companies could do it as well. Tor, for example, is known for fantasy and science fiction, while Poisoned Pen Press focuses on mystery, as you could probably guess from the name. “Harlequin is Romance” as their tagline says, and specific Harlequin lines follow clear guidelines on subject matter and tone. But who goes out of their way to pick up a book by Simon & Schuster or HarperCollins? What do those names mean? Big publishers publish too great a variety to brand themselves by genre, but many include imprints with a narrower focus, though few of those are known outside the business. If publishers develop imprint brands with a clear, narrow focus, and promote those, they might build customer loyalty. And if they promote the brand rather than promoting a few titles each season, that would also be an advantage to mid-list and new authors, who’d benefit by the association even if they get no individual publicity. How about it? Do you have any other ideas for publishers on how to stay relevant? Last Friday I shared links to Anna Staniszewski’s explanations of point of view. Choosing a point of view is a major decision. After you’ve chosen, you have to stay in that point of view. It’s not as easy as it sounds. I stared at her. Something was bothering her, but what? She looked down again, and I could just see her cheeks getting red through her fringe of hair. But now that I looked closer, she didn’t look angry. She looked … embarrassed? OK, so that wasn’t it either. Here Jon can guess what Tania is thinking and feeling, by how she behaves – but he may be wrong. Staying within one point of view is typically easier in first person, because any jumps to another viewpoint will be obvious. And when the narrator tells us how someone else feels, we’ll assume we’re getting the main character’s interpretation, and they may be mistaken. Just be careful about having your narrator correctly understand what everyone else is thinking and feeling, unless she’s highly empathetic or psychic. Close third person is one of the other most common points of view – you show things through one character’s eyes. (Having multiple viewpoint characters is essentially the same, if you’re showing the scene through only one character’s eyes at a time.) Here’s where I see writers slip out of viewpoint most often, in order to tell us what another character is thinking or feeling. Make sure you’re showing only what your main character can see and hear. The day was lovely, but she didn’t notice. You can’t tell us what your viewpoint character is not noticing. You can have her barely notice something, or notice but not pay much attention. In a similar vein, you can’t have your viewpoint character fall asleep or go unconscious and then continue telling us what other people are doing or saying. You can have her fall asleep as someone is speaking, but forget the words by the time she wakes up again. But your main viewpoint character MUST be able to see, hear and/or feel whatever you share (or guess at it based on her observations). And personally, I can’t stand foreshadowing with phrases such as She didn’t know it yet, but... or If she had known then what would happen.... It’s not only a viewpoint shift, it’s lazy writing. Don’t promise me that things will get more exciting in the future – make them interesting now. Finally, be careful also about describing your main character’s appearance. For example, “Her blue eyes widened.” Granted, she knows she has blue eyes, and she may realize when she’s widening them. But would she really be thinking about the color of her eyes? That’s authorial intrusion, where the writer is trying to shove in some character description. To really stay in your character’s point of view, you have to show the world as she experiences it. You should be able to switch to first person, and still have it feel natural. For example, “I pulled my hair back into a ponytail” sounds natural. “I pulled my shoulder-length, blonde hair back into a ponytail” doesn’t quite, unless your MC is obsessed with her appearance. Some beginning writers are tempted to use the omniscient viewpoint in order to avoid these complications. But true omniscient has its own problems. First of all, it’s less common today, especially in children’s literature, and can sound old-fashioned. (Writing as an outside, omniscient character can work for fables, folk tales and fairytales, which are traditionally in the storyteller’s voice and are supposed to feel a little old-fashioned). Second, the distance can keep your reader from feeling close to any one character. And third, most people who try it actually write in shifting third person, jumping between characters – which is probably the most difficult viewpoint to pull off successfully. • Review a recent piece of yours, checking carefully for subtle point of view shifts. Fix them. • Rewrite a short story, or a scene in a novel, from a different viewpoint. How do things change? Last week, I shared some opinions about Amazon and other bookstores. But other bookstores aren’t the only ones who hate and fear Amazon. Many publishers do as well, despite the fact that Amazon makes it easier for people to get those publishers’ books. The advantages are balanced – many would say outweighed – by Amazon business practices that try to force publishers to lower e-book prices, and ask for special discounts and other considerations. Digital Book World has had a lot of interesting updates lately on the skirmishes between Amazon and various publishers. The company has been losing sales reps who get discouraged when potential customers attend gatherings but then order the books off Amazon. Without competition from Amazon, the EDC expects sales to grow – as they did for the company’s Kane/Miller line of children’s book, which had a 33% increase in sales after the company pulled titles from Amazon two years ago. Now there’s some creative marketing! And if things weren’t tough enough, the Justice Department is preparing to sue five of the “Big 6” North American publishing houses, along with Apple, for colluding to maintain artificially high prices for digital books. Jordan Weissmann explains the situation—and possible fallout—in a recent article from The Atlantic, How Cheap Should Books Be? Jane at Dear Author offers her take on the situation in this post: What Kind of Competition Has Retail Price Maintenance for Digital Books Fostered? And The Guardian weighs in with Ebooks: defending the agency model. Amazon has opened up a lot of opportunities for authors, and they’ve shaken up an industry that desperately needed shaking. Like Sarah Lacy, I’d love to see publishing adapt to this new era. She suggests it will take publishing employees quitting their jobs to start new companies. That may be true, as big publishers seem to lack the flexibility to innovate. But come on, guys – there must be ways you can improve. Next week I’ll share an idea on how publishers can stay relevant. I’d love to hear your thoughts as well. Leave a comment here or drop me an e-mail, and maybe I’ll quote you next week. Many of my published works of fiction—The Well of Sacrifice and the Haunted series—are written with a first-person narrator. 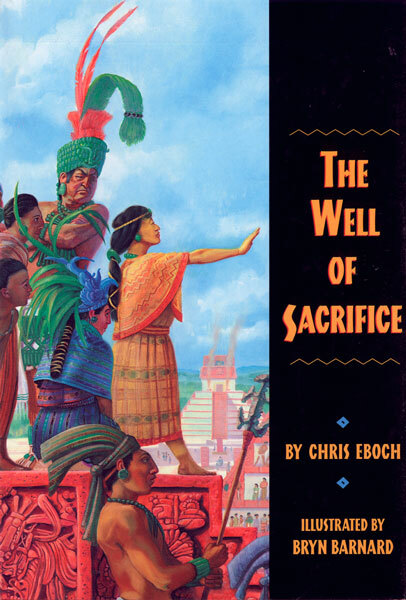 In The Well of Sacrifice a young Mayan girl tells her story as she tries to save her city from a power-hungry high priest. 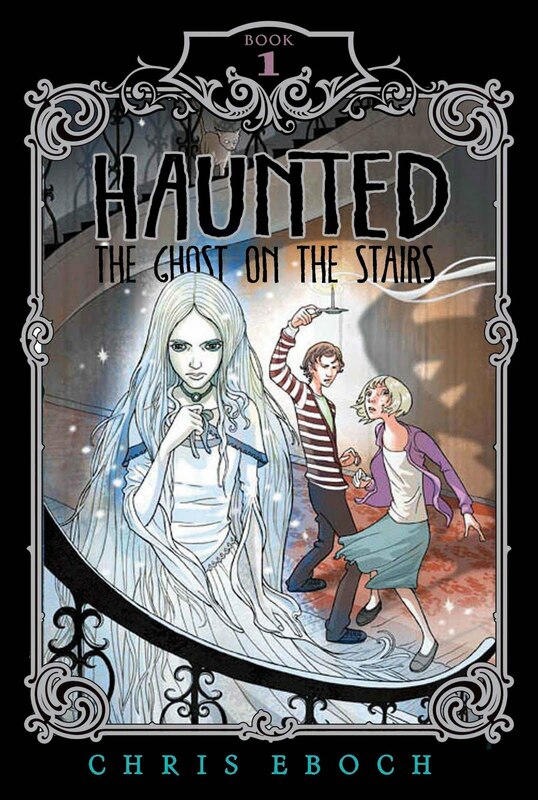 In the Haunted series, 13-year-old Jon narrates his struggles with the pressure of parents, a crush on an older woman, and the outrageous demands of a little sister who is determined to help ghosts. In both cases, the voices just appeared in my head—even though I have little in common with a ninth century Mayan girl or a 13-year-old ghost hunting boy. The mind is a mysterious thing. I wrote several novels in the third person that didn’t sell. Does that mean I’m better with first-person? Not necessarily, but I think that when I write in the first-person, I know my main character well. I can hear his or her voice, and I know how he or she thinks. I can’t even start until I know the character. Third person allows a bit of distance, as if I’m talking about someone rather than being them. This lets me write a book focused on plot, even if I haven’t fully developed the characters. The result can be a well plotted but lifeless book. Still, third person isn’t always a mistake, even for me. My middle grade mystery in ancient Egypt, The Eyes of Pharaoh, is in third person. Rattled, my first romantic suspense for adults, is in third person with two viewpoints, although Whispers in the Dark and my-work in-progress are first person. 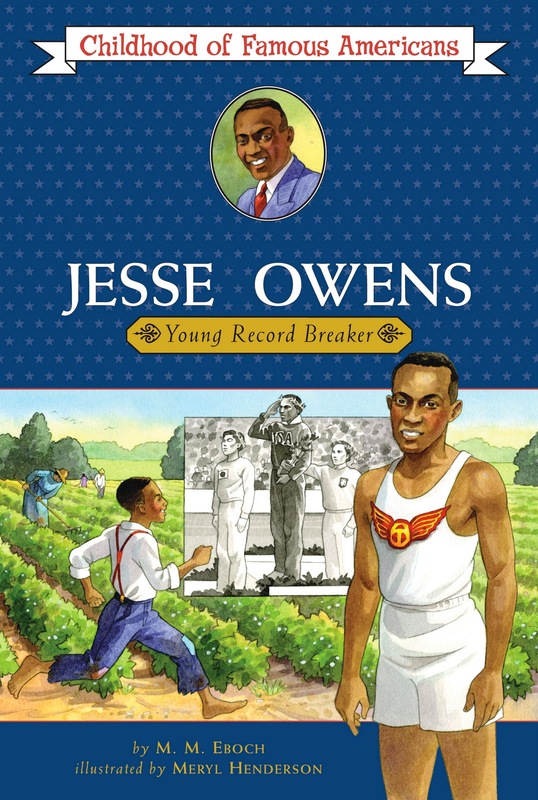 I’ve also used third person with success in the fictionalized biographies Jesse Owens: Young Record Breaker and Milton Hershey: Young Chocolatier (Childhood of Famous Americans series, written as M.M. Eboch). I find point of view choices interesting, but I hate trying to teach point of view. Fortunately, I found a great blog that already has summaries of the basic viewpoints! I’m passing you over to Anna Staniszewski this week. Click out her point of view posts through the links below, or start at her main blog page and either search for "point of view” or browse through her interesting posts. Next week, I’ll go into a little more detail about some of the subtle point of view mistakes I see. Choosing the best POV for your story is an important step, but often people’s definitions of the different POVs vary so it can be tricky to know what you’re choosing and why you’re choosing it. Here’s my attempt at a simple breakdown of the most popular types of POV, with the pros and cons of each. Last week I did a breakdown of the most popular types of POV and stressed how important the right POV is to a story. Today, I wanted to elaborate on that a bit more, specifically on how POV affects character. Last week I looked at how POV affects character, specifically in first person and third person limited narration. Today I wanted to do one last post on point of view, focusing on third person omniscient, specifically involved omniscient POV since detached omniscient is pretty rare these days. And here's a link to children's book writer Molly Blaisdell's Seize the day blog, with her Reflections: POV First Person, on the advantages and disadvantages of the "first person shooter" viewpoint, Third Person Limited, and omniscient viewpoint. I’ve heard a lot of complaints about Amazon lately, on blogs and listserves and discussion boards. People say that Amazon is a “bully” trying to take over the publishing world. Some companies are fighting back. For example, Barnes & Noble won’t stock books published by Amazon, now that Amazon is opening a publishing arm. I understand the anger against Amazon, but refusing to stock products people want seems like shooting yourself in the foot. This doesn’t punish Amazon. In fact, it benefits Amazon. If a customer wants a book, and it’s only available through Amazon, are they likely to buy something else through Barnes & Noble, or order what they want through Amazon? The policy, instead, punishes authors. So you have Amazon bribing you with a better- than-average contract on one hand, and Barnes & Noble threatening you on the other hand. Both are using pressure. Most authors will go where they can make the most money, which for most of Amazon. The policy also punishes customers. What business thinks it’s logical to refuse to give customers what they want, in order to punish their supplier? And how does this support Barnes & Noble’s commitment to providing their customers with “any book, anywhere, anytime”? Amazon might not be playing nice, but neither is anybody else. And I’m not alone in my feelings. But Amazon is putting other book sellers out of business! What should we do? From a capitalist viewpoint, maybe nothing. I don’t recall people getting worked up when Netflix started putting video stores out of business. The world is changing, and that’s not necessarily a bad thing. And here’s another interesting link in the bookseller wars, from Dear Author. “Paid Content reports that Amazon will be offering non Kindle versions of digital content in an effort to persuade Barnes & Noble to relent and carry its Amazon published print titles in stores.” Jane later comments, “I’m sure B&N will come up with another excuse to ban Amazon published books” and brings up an interesting point. Will Amazon start carrying electronic formats for other devices, such as the Nook, along with their Kindle e-books? How will that affect the market? Next week, I’ll talk a little about how publishers are reacting to Amazon. In my Friday posts, I’ve been talking about building strong characters. Of course, your main character needs to be the best developed. Your villain and any major secondary characters should also be complex, realistic and individual. What about minor characters who don’t have an important role? What about secondary characters in picture books, where you don’t have much time for developing complex characters? In times like these, it can actually help to turn to a recognizable “type” – the comforting grandmother, the bratty younger brother, the geeky science teacher, the peppy cheerleader. The reader sees those quick clues and understand the character. However, watch out for negative stereotypes. You know, the ones based on race, gender, religion, size etc., that are hurtful or reinforce prejudice. You might also ask if you can add a twist to make that character type fresh. This doesn’t need to take up much space in your story, but it can make your world more interesting. For example, let’s say you want your main character to turn to a grandmother for comfort. Your first instinct might be to create a sweet, white-haired lady who always has fresh baked cookies on hand. That could work, and it’s not harmful, but it is a cliché and rather blah. Now try giving Granny a twist. Maybe she dyes her hair platinum blonde and get donuts from the bakery. Maybe she is a school principal who babysits her grandkids during the summer. Maybe she goes bowling most evenings, but will take time out to console her grandson over a plate of bowling alley nachos. Maybe she’s running for mayor, but always has time for a cup of herbal tea and conversation. Maybe she and your main character have long talks while they walk her St. Bernard. The possibilities are endless – and a whole lot more interesting than that old cliché! Think of the grandmothers you know. Their ages may cover quite a range, starting in their 30s. They might hold a variety of jobs, or be homemakers, or be retired. They may be married, divorced or widowed. They have a variety of hobbies and interests. Try making your minor characters as fresh and real as the people you know. They may give you new ideas for developing your main character or your story. But even if they stay in the background, they'll make that background more enjoyable! Exercise: think of a type—jock, cheerleader, bully, high school science teacher, grandparent or whatever. Write a brief description, making it fresh. If you wind up writing more than a couple of lines, go back and pull out just one to three details that do the best job of making an interesting character in the least time. For those who are considering self-publishing but might be intimidated by writers organizations which berate it, I want to say something positive about one category of books: those with time-sensitive topics. If you have a time-sensitive topic that you haven’t been able to sell to a traditional publisher, or that you don’t have time to send on the submission rounds, should you simply shelve that book — or should you self-publish it? Let me use my own experience as an example. About seven years ago, I started to write a nonfiction book for ages 10-Up. It was the story of Jack Graney (left fielder for the Cleveland Major League team from 1910-22), and his bull terrier, Larry, who became the official team mascot, appearing in all team photos. For a while, I struggled with how to tell this story. After stumbling through a few prose versions, I started to tell the story in free verse. Instantly I felt this was the best way to bring the story to life for the reader. The story came to me through old newspaper articles, and I gave it back to the reader through free verse, which seemed very fitting because both short articles and short poems often capture the essence of a moment: a sensation, a feeling, a conflict. Once I had my story written, I began submitting it to editors at traditional publishing houses. In four or five years, I submitted it to maybe a dozen editors, most of whom said they liked it but, for one reason or another, turned it down. The largest number of editors turned my story down because they felt the story had to be either Jack’s story or Larry’s story, but not the story of both. One turned it down because, she said, stories about a Cleveland team wouldn’t sell a lot of books. Another turned it down because Jack Graney wasn’t the star of the 1920 World Series. As the rejects slowly came in and the manuscript went back out, the 100th anniversary of Larry joining the Cleveland team loomed nearer. And nearer. And then — an editor I knew of and highly respected appeared to be interested in the book. I thought she might even make an offer on it. She asked for a marketing plan and back-cover-testimonial suggestions from me, and I wrote these up and emailed them to her. I was hopeful, and I like to think that she was, too. And then — the large publishing house that owned the imprint I had submitted to dropped the imprint. Also dropped the editors who worked there. Amongst the human casualties were manuscript casualties, Jack and Larry among them. At this point it was impossible for a traditional publisher to buy my story and have it out in 2012, the 100th anniversary of Larry joining the team. I had tried my best. I had written and rewritten and rewritten, listened to editorial suggestions, listened to my critique group’s comments, always rewriting, always honing the material. I believed I had a good story and I believed it was well-written. And time-sensitive. Let’s not forget time-sensitive. I wondered what to do. Should I self-publish, or should I keep trying for conventional publication, even though it would mean that, should one accept, Jack and Larry would come out after the 100th anniversary. And so I did. I made plans to self-publish through CreateSpace, with Jack and Larry coming out in January 2012, one month before pitchers and catchers reported to spring training. Not only am I thrilled to have a great-looking book that has already touched the hearts of those who have read it, but I’m excited that the book has already been reviewed by baseballreflections.com, and that review has been picked up by scores of other baseball sites. And it’s now being picked up by dog-related sites. In addition, the American Kennel Club’s magazine, Family Dog, will carry a one-page feature on Jack and Larry, and that will also appear on their web site. The Canadian Review of Materials (Jack Graney was Canadian), which reviews literature that can be taught in elementary and high school, will review the book. But there’s more. Soon after my book was published, the Cleveland Indians announced that on August 11, 2011, Jack Graney (who was inducted into the Canadian Baseball Hall of Fame in 1986) would be inducted into the Cleveland Indians Distinguished Personnel Hall of Fame. My book in no way caused this well-deserved honor for Graney — but what a wonderful, fantastic, incredible example of serendipity. You can bet that I’ve been calling Cleveland area bookstores and newspapers and lining up autographing events and announcements and interviews for August 11, 2012. It’s 300 miles from Chicago to Cleveland, and I’m lining up autographings en route, too. 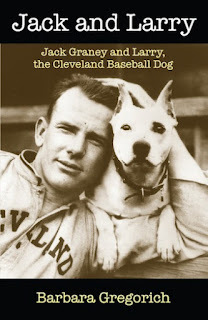 I plan on doing everything I can to publicize the heart-warming story of Jack Graney and his bull terrier and the Cleveland team. Do I wish that a traditional publisher had taken my book? Yes, I wish a traditional publisher had taken my book. A traditionally published books gets into the hands of more reviewers and it also gets into more bookstores. And traditionally published books qualify for more awards than do self-published ones. Am I glad that all the self-publishing options of today exist and that I went ahead and self-published Jack and Larry: Jack Graney and Larry, the Cleveland Baseball Dog? As Larry might say, Woof, Woof! Chris says: Thanks for stopping by, Barbara. As I said on my guest blog post for Darcy Pattison last week, Dodging Trends: Why I Turned to Self-Publishing, self-publishing can be a good option if you have a book that isn’t “big” enough to attract a large publisher but still has an audience. This is a great example. Barbara had a fresh product that wouldn’t get buried among thousands of similar books (easier with nonfiction). She had niche markets (baseball fans, dog lovers, Cleveland) that were big enough to support the book, and she figured out how to reach them. Note that she’s had several valuable reviews, despite the complaint that self-published books don’t get reviews. She’s not getting into the New York Times Book Review or Kirkus, but the smaller, focused publications are probably better for sales anyway. She’s running her business like a business, which doesn’t stop when the writing is done. And perhaps most important of all, she knew she had a quality product, because she’d gotten positive professional feedback. If you’re considering self-publishing, stop by my website to download the “Indie Publishing Worksheet” I developed to help students decide whether or not self-publishing is right for them, and if so, what steps to take. Here are more notes on building realistic characters, adapted from my “Be Cruel to Your Characters” workshop. • Heroes should be realistic, complex and individual. Make sure your heroes have flaws. • Heroes should have universal traits (emotions and motives). Readers should identify/sympathize to some extent, so they’ll forgive the main character for their mistakes. • Your hero should have the qualities needed to realistically overcome the challenge. Thus, the challenges should be hard enough to be dramatic (we must believe the hero could fail), yet not so great that no real person could solve them. • In general, the protagonist should grow and change in the course of the story. She should make errors, and learn something. Heroes need both inner and outer challenges. • Protagonists should be active, not passive. They should take risks and responsibility. They may be at least partly responsible for their own problems. They should have to sacrifice something in order to succeed (pride, safety, financial security). • Heroes may be willing or unwilling. They may be outcasts, cynics, loners, wounded or reluctant. But at some point they should commit to the challenge. (Harrison Ford often plays this kind of character.) In the The Ghost on the Stairs (Haunted (Aladdin)) Jon just wants to be an ordinary kid, but his sister keeps dragging him into trouble as she tries to help the ghosts. In each book, he has to find his reasons for supporting her. • Your hero’s rewards should be proportionate to the challenges. • Villains should also be well-rounded. A villain with good qualities and understandable motives creates a more subtle and complex story. Why is the villain nasty? Are they actually evil, or ignorant, or do their goals just conflict with your hero’s? • Other major characters also need strengths and weaknesses. Think about their motives, their good qualities and their flaws. All characters should have a mix of traits, good and bad, sometimes working against each other. (In The Well of Sacrifice the main character's brother is so dedicated and heroic that he doesn't question authority, leading to his betrayal by the high priest.). Even the people you love have flaws and irritating quirks. So should your characters. • Think of unusual/contradictory qualities. Maybe your tough bully loves animals. Twist the stereotypes. Instead of a sweet, white-haired grandmother who comforts her grandkids with home-baked cookies, how about a grandmother who plays racquetball, is running for mayor, and comforts her grandkids with giant ice cream sundaes at the local diner? People your story with realistic characters, and you'll bring that world to life. So have fun getting to know the characters you create!